Six years ago today, on July 18th, 2012, the summer season at Bulgaria’s Black Sea coast was approaching its peak. At Burgas Airport, located some 380 kilometers east of the capital Sofia, many planes touched down. All of them carried tourists from the United Kingdom, Germany, Russia and other countries. The countless tourists expected to find nice beaches, salty seawater, nice hotels with swimming pools, good food and cool drinks. They wanted to relax and have a good time. That afternoon, a plane with Israeli vacationers landed. Israel does have beautiful beaches itself. But Bulgaria is still a popular beach vacation destination for Israelis, because it is definitely cheaper, and because it is good to go abroad once in a while. Also, Bulgaria is a country many Israelis like. There are tens of thousands of Bulgarian Jews living in Israel, who brought the culture of their birth country to the Jewish state. Another aspect which makes Bulgaria likeable is its more recent history: Courageous Bulgarians, among them Christian Orthodox priests, saved all of the Jews living in Bulgaria proper during the Holocaust. In the afternoon of July 18th, 2012, when their plane touched down at Burgas Airport, five Israeli tourists aboard did not know they had only minutes to live. Amir Menashe was 27 years old. So was Itzhak Kolengi. Maor Harush and Elior Priess were both 26. Kochava Shriki had at least two reasons to be happy: The 42-year-old lady had just found out she was pregnant, and she was in for a nice, relaxing vacation. The Israelis from the plane boarded several buses, in order to be taken to their hotels located in Black Sea resorts. Then the bomb went off in one of the buses. The five Israelis mentioned died on the spot. The same applied to Mustafa Kaossov, the Bulgarian bus driver. Thirty-two tourists on the same bus were injured, among them children. Holidaymakers at a tourist destination in Bulgaria, a country which had already been part of the European Union for five and a half years at the time, were murdered and injured because they were Jews. 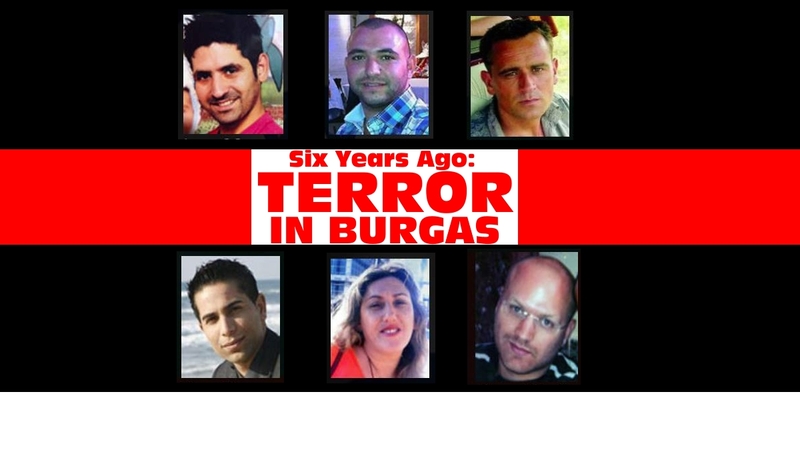 The Burgas bombing was not the only terror attack perpetrated by radical Islam that year. But it was the first one in Bulgaria. The blast was very strong. It literally ripped apart the bus the victims were sitting in. Only the vehicle’s skeleton remained, as photos taken that day show. The six people who were sitting around the location of the bomb explosion did not have any chance to survive. The trial against the surviving perpetrators of the attack, Meliad Farah, who is both Australian and Lebanese, and Hassan El Hajj Hassan, a Canadian national, commenced only this year, in January of 2018, in the absence of the accused. A third culprit, Mohamad Hassan El-Husseini, perished in the explosion he brought about. Right after the terror attack, the Bulgarian authorities teamed up with the Mossad, in order to hunt down the terrorists responsible. Hezbollah was behind the attack, according to Europol, Israel and parts of the Bulgarian government at that time (Borissov I). Hezbollah had started its trail of blood in 1983, with several terror attacks in Beirut, in which 316 Americans and French citizens died. Most of them were military personnel. Later, the terror group hijacked a TWA aircraft and murdered more people in different countries. In 1994, Hezbollah attacked a Jewish community center in Buenos Aires. As many as 85 people were murdered on site. But it took the United Nations three more years until it finally labelled Hezbollah a terrorist organization. On Wednesday afternoon, the largest Jewish organization in Bulgaria, Shalom, and the Israeli Embassy in Bulgaria honored the victims during a little ceremony at Burgas Airport. The trial is ongoing. Six years after the Burgas terror attack, Israeli tourists are still coming to Bulgaria. But that terrible day is not forgotten. Neither are Kochava Shriki, Amir Menashe, Itzhak Kolengi, Maor Harush, Elior Priess and Mustafa Kaossov.